Episode 5 - Box 5 Win Your Earnings! Episode 6 - Box 6 I don't expect you to understand. Episode 7 - Box 7 Does Everyone Do This? \ My own tune!! 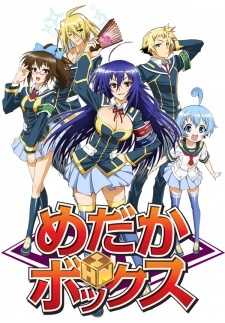 Episode 8 - Box 8 I will crush Kurokami Medaka!! Episode 9 - Box 9 It's not justice if you don't go overboard! Episode 10 - Box 10 I will not forgive you!! Episode 11 - This Is the End! !